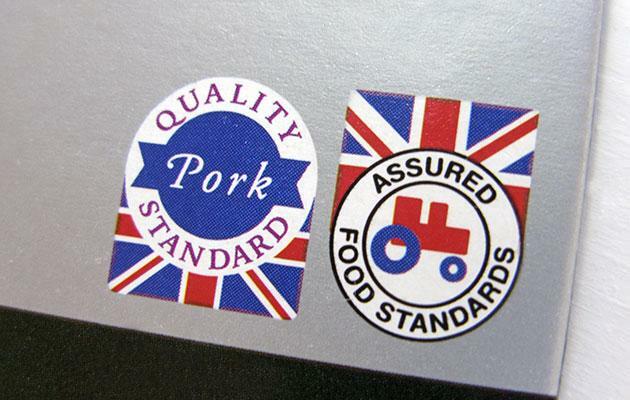 Often seen on pre-packaged food, the Red Tractor logo indicates that the producer has met certain minimum health and welfare standards, and so we might feel more comfortable buying it. But what does this really mean? According to their website, it indicates that the producer has met "rigorous" standards in food safety, animal welfare, and consideration for the environment. It also certifies the food as UK origin. They also state that all 'Red Tractor' foods can be traced back to the farms that produced them. These words might conjure up images of happy chickens pecking around leafy fields, but Compassion in World Farming argues that this is not always the case. They state on their website: "Beware terms like 'Farm fresh'. They are nothing more than a marketing ploy and mean nothing in terms of animal welfare". And in 2002, the Food Advisory Committee said that the terms 'Ocean fresh', 'Kitchen fresh' and 'Garden fresh' were "emotive but basically meaningless". When the yeasty, warm aroma of baked bread hits us as we walk around our supermarket, we might assume that behind those shelves, it's being kneaded, shaped and baked from scratch. But the Real Bread Campaign found that most in-store supermarket bakeries were browning ready-prepared, part-baked loaves. Their 2010 report 'Are Supermarket Bloomers Pants?' called them "little more than a tanning salon for baguettes". They say that using terms such as 'fresh' and 'freshly baked' when describing bake-off products could amount to "legalised deception." The Food Advisory Committee reported that although it's OK to call a factory-produced loaf of bread 'Farmhouse' if it's that style of bread (flour-dusted, soft, split down the middle), the use of the term on other products should be limited. Although there's no problem with it if the product was actually produced on a farm, they do say that "simply describing an ingredient as 'Farmhouse' e.g. 'X with farmhouse vegetables' is meaningless." The report also shames the term 'Country-style', saying that it "does not appear to have any specific meaning." 'Fresh', 'Pure' and 'Natural' appear on countless food and drink labels. And although, as Department for Environment Food & Rural Affairs states on their website, the proper use of these words is not defined in law, when they are used they "must not be misleading for consumers." 'Artisan' is currently a trendy word in the food industry. And while many of these producers are making bread and other products using skilled, traditional methods, the Real Bread Campaign say that not everyone is doing it. They argue that the term should only be used to describe products created by "skilled craftspeople who have been trained and gained experience in their profession". Artisan-labelled products include everything from sandwiches to pizza and the use of the term is still on the rise. All 'Organic'-labelled products must meet strict guidelines, including a ban on artificial fertilizers and restricted use of pesticides. But buying 'Organic' doesn't necessarily mean your food has been locally produced. Organic fruit and vegetables can be flown in from around the world, which has raised concern over food miles. The word 'Gourmet' slapped on a food label can suggest that it is special and of higher quality. But a DEFRA spokesperson told us that while the word is not specifically included in UK best practice guidelines for food packaging, customers can complain if they think it's being misused. They state: "There are guidelines for the use of marketing terms like 'gourmet' and people can complain to their local council's enforcement team if they are concerned about the quality of a product."